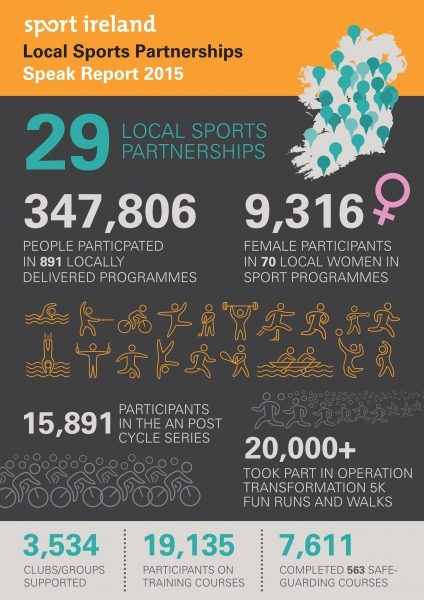 Minister of State for Tourism and Sport, Patrick O’Donovan TD, today launched the ninth annual Sport Ireland Strategic, Planning, Evaluation and Knowledge (SPEAK) Report on the national network of Local Sports Partnerships (LSPs). Almost €14.5 million was invested in the LSP network, including benefit in kind funding. A full copy of the 2015 SPEAK Report is available here.